Many on the American Right often point to the ‘Christian’ roots of American political culture, usually arguing that the present decadent state of American society requires nothing less than a recommitment to the Ten Commandments and a national re-reading of the Holy Bible – interpreted, of course, through the lens of Evangelical Protestantism. A look at the actualities of American ideology reveals that the claim ‘America is a Christian nation’ is not wrong, but rather is correct in ways that would surprise and offend most social conservatives who would make that claim, and their liberal opponents who deny it. First off, a look at American political ideology as it informs foreign policy is in order. Beyond the classic calls for liberty, equality, and republicanism (more on those later) three important historical concepts stand out. These are Manifest Destiny, the ‘City on a Hill,’ and American Exceptionalism. In one sense, these three ideas represent three separate iterations of the same idea, balanced for different historical epochs. But in another sense, they are three unique concepts that have combined to formulate America’s instinctual handbook for ordering its relations with the world. Manifest Destiny, so often taught as little more than white patriotism justifying expansionism, is less about racial superiority (though historically that held significant appeal) and more about the superior ‘civilizing’ morality of the American nation justifying its preeminence among nations and thereby justifying its vigorous expansion. It held American hearts and minds from the turn of the 19th Century to the dawn of the 20th. The ‘City on a Hill’ – a term coined by John Winthrop, but native to Colonial American political culture – is the notion that the United States holds the keys to the truth about human political happiness, and need only exist in order to be a model for the world to observe and emulate. During isolationist periods, or contrarily, when America has engaged in global ideological struggles, this has been an appealing mode of thought. Finally, American Exceptionalism has been something of a synthesis between the previous two ideas. It teaches that, because America is the golden nation depicted by the City on a Hill, it uniquely reserves the right to spread its ideals to the oppressed peoples of the world. Taken together, these ideas start to resemble the attitudes of crusading nations throughout history. That is because in its insistence on the justness of its own ways of thought, the United States has constructed for itself a civil religion. When looking at various case studies throughout recent American history – from the widely maligned arguments for the democratization of Iraq and Afghanistan, to the humanitarian rationales for intervention in Bosnia and Libya, to federal support for democratic regimes and movements across the Post-Soviet arc – the sheer irrational faith American policymakers have had in the rightness of their own ways is literally almost religious. Belief in the infallibility of democracy and zeal for its global dissemination quite simply depicts one of Christianity’s most important influences on American politics: the missionary tradition. Bear in mind that the United States has always been a majority Protestant nation, and thus Protestantism energizes its worldview. But the correlation extends into the very substance of American ideals. As James Kurth brilliantly depicts in his article, “The Protestant Deformation,” Americans have shaped their political ideals with their religious ones. The 16th Century Protestant rejections of hierarchy, tradition and preeminent community, replaced with egalitarianism, reason and individualism, define the American creed about as well as any secular understanding. Protestantism, in particular, emphasizes the dignity and equality of all individuals, which are concepts enshrined in the US Constitution and the Declaration of Independence. Oftentimes, these ideas are attributed to Enlightenment ideology and secular rationality. While this is directly the case, it is rarely mentioned that the Enlightenment and the faithful ‘secularism’ it engendered were the intellectual heirs of the Protestant Reformation. Had most early Americans practiced a religion other than Protestantism, it is extremely dubious whether the ideals that took root would ever have been developed, much less embraced, on American soil. Yet, in the 20th and 21st Centuries, some might argue, the ideology has changed so much that it can hardly be called inspired by Protestantism. However, I believe it still can. No matter how different one species is from its ancient ancestor, the linkage is still there, and in the case of American ideals the temporal space is really not that wide. The high regard for individual rights and privileges ubiquitous throughout American political rhetoric today – so deep-seated, in fact, that those who speak out against specific individual rights of any kind, be they rights of expression, property, political participation, or cultural issues such as abortion or marriage, are often derided as bigots and, in some extreme cases, even as fascists – is held not only due to a natural love of freedom or power, but also to a religious conviction that individuals are autonomous and should be treated by the state as such. The implication of this is that those of all political stripes in the United States – if they subscribe to American ideals as justification for their ideologies – are living the classic American civil religion of faith in republican ideals, with a rooting in Protestant Christianity. And more often than not, these ideals translate into foreign policy attitudes and decisions. It is important to note that every American who subscribes to the general American ideology, therefore, takes part in the Protestant tradition regardless of his or her own faith. I suspect the individuals most likely to object to this characterization are rational atheists who consider themselves secular. For my part, as a (poorly) devout Catholic and a proud American, I was originally somewhat disconcerted to discover the Protestant, and, at times, anti-Catholic roots of the political tradition to which I subscribe. But a realization of the fallibility and historical contingency of American political ideology, as well as of its general benevolence and, indeed, its tolerance and accepting attitude towards those of all religious traditions, have allayed my fears and allowed me to practice my political faith in a more nuanced light. I only hope that other thinkers bothered – or overjoyed, for that matter – at America’s fundamentally Christian nature can allow themselves to be sobered by that acceptance. The Republican Party of 2014 is in a predicament. On the one hand, it is opposed by a lame-duck Democratic administration, many of whose policies might justifiably be described as “failed.” It is energized by massive grassroots populist waves unseen since the 1980s. And, it continues to attract some of the keenest political operators in the United States. On the other hand, the party is below Democrats in national approval rating. In terms of legislation, it has largely behaved as the “Party of No” its critics deride it as. Perhaps most shockingly, largely due to its present deep internal divisions, the Republican Party has articulated several contradictory and rather arbitrary economic strategies, and no creative new foreign policy strategies. This shortage of intellectual capital does not bode well for a party with such advantageous opportunities as the transition out of the “Old Blue Model Fordist” economy, the rapidly rising presence of socially conservative Hispanics in the Southwest, and the gradual commercialization of space. In each of these areas (and many others), the Republican Party could adapt its principles and policies to take advantage of present trends to better America’s future prospects; yet, in the party’s present state, it seems ever less likely that necessary reformers and insurgents will have a voice. Currently, the GOP is internally divided, with each of its factions competing for the mantle of the legacy of Ronald Reagan. In truth, none of the various factions or leaders resembles the Gipper’s legacy either in policy or charisma. But even if any of them followed Reagan’s policy and philosophy, they could not save the Republican Party – different times call for different measures and different ways of thinking. Principles may remain the same, but policies never should. Generally, there are two main camps struggling for control of the GOP, with innumerable interest groups and factions influencing their trajectories. In a nutshell, there are the main-line “establishment” Republicans, including John Boehner, John McCain, Chris Christie, and others occupying higher positions in Washington and elsewhere, while competing against them are the insurgent Tea Party-affiliated Republicans, including Rand Paul, Paul Ryan, and Marco Rubio, as well as many other relative newcomers to the political scene. The establishment Republicans tend to stick to the classic party line of deregulation, heavy-handed foreign policy, and moderate social conservatism; the Tea Party and the candidates it endorses tend to focus on fiscal responsibility and a cutback in the size of government. Thus, establishment Republicans are far more conciliatory towards Democrats than their Tea Party counterparts, who often brand themselves as the “true” conservatives battling a decadent national GOP establishment. Meanwhile, various subgroups, including religious social conservatives, foreign policy isolationists, and large corporate interests play prominent roles in the policymaking and discourse of the GOP, though none hold power themselves. The current squabbles over the true definition of “conservatism” exclude a tradition which has, for a century, been far underrepresented in American conservative discourse: the conservative realist tradition, best exemplified by Alexander Hamilton and Theodore Roosevelt. This pragmatic brand of political thought has proven to be as timeless as America’s ideals themselves, as it has undergirded America’s unity as a nation and its rise to power on the world stage in most of the country’s most transformative epochs. Though its followers have never held power for more than a decade or so, its opponents have always grudgingly (or unknowingly) adopted its most basic precepts and tenets in order to maintain America’s status as a united world power. It is therefore written into America’s political DNA as firmly as the principles of the Declaration of Independence and the Bill of Rights, though in most times it remains unspoken. The core principles of conservative realism are the same core principles any would-be powerful nation-state must follow: a commitment to internal order and unity, effective external security, and sustainable national prosperity. These are the core elements of power – the meat of politics. The ligaments holding them together, especially a healthy civil society and social trust, are highly valued and praised by conservative realists, but are not the core of conservative realist philosophy. Meanwhile, conservative realists tend to have a particular view of how the three core objectives are to be attained and preserved: a strong and unitary government (as opposed to a confederation or an extreme decentralization) in order to maintain unity and order; a prudent, pragmatic realism based on the balance of power in foreign policy to secure an advantageous security situation; and effective government regulation, and investment in infrastructure and technology, to most efficiently and lucratively manage national resources. Though most political thinkers would not oppose the three primary objectives of conservative realism, many would oppose the means by which conservative realists seek to attain them. Those following and practicing this mode of thought were effective in times of fracture and weakness, when the United States needed internal consolidation and external heft. The presidency of George Washington, and to a lesser extent that of John Adams, saw intense federal investment in infrastructure, along with unitary policies and a very pragmatic foreign policy. Thomas Jefferson and his successors, though they largely condemned such policies while out of office, invariably wound up practicing conservative realism when in office. The Jacksonian Revolution, and its subsequent weakening of the federal government and increasing regionalism in American politics, set the stage for the Civil War, regardless of Henry Clay’s neo-Hamiltonian policy proposals. Abraham Lincoln, another great nationalist, sought to save the Union by the same methods as those offered up by Alexander Hamilton decades before. America’s rise to prominence as a world power in the late 19th Century was largely due to the influence of statesmen and thinkers like Alfred Thayer Mahan, Henry Cabot Lodge, and Theodore Roosevelt, whose emphasis on pragmatic foreign policy and active economic involvement on the part of the federal government effectively created the America we know today. After the presidency of Theodore Roosevelt, the movement died down quite a bit; however, come the Second World War, conservative realists in the State and War Departments crystallized their precepts for national security strategy, while corresponding trends in government, such as the establishment of New Deal programs, rendered basic manifestations of the imperatives for united governance and economic involvement essentially unquestionable. To a certain degree, the United States has been run on conservative realist principles for the better part of its history, if only explicitly at certain points. In most situations in which conservative realists rose to power, the might of America increased, her cohesiveness was strengthened, and she reached new levels of prosperity. Moreover, she became increasingly capable of shaping and leading the liberal international order that has graced and cursed the world with ever-expanding trade, communication, and cultural exchange. In 2014, as America’s power stagnates while powers around the world rise and anarchy beckons, nothing could be more desirable than an America united at home, pragmatic abroad, and generating sustainable wealth. There has been ceaseless talk about governmental and party reform in American politics. Most proposals have been doomed from the start, as they either long for the improbable (the redemptive electoral success of a moderate Third Party) to the downright impossible (the elimination of money from politics). Some pragmatic solutions have been offered, but none promise more than baby steps to remedy small aspects of America’s political dysfunction. It is time for a practical and proven solution to be considered. The only executable events that have ever shifted the course of American politics have been party realignments. (Of course wars, elections, and economic crises have done their share, but for the most part, those happen on their own, impervious to human agency.) Why not create an insurgent force within a conservative party and strive to influence policy and politics from there, as the Tea Party movement has done? The difference between the Tea Party movement and the conservative realist voice, however, is that the Tea Party enjoys widespread grassroots support, while conservative realists think in line with many in the intelligence, diplomatic, and military establishments. Such populist support as the Tea Party enjoys would be crucial for the crafting of a national strategy based on alternative principles of politics; support from the foreign policy establishment, the most avowedly conservative realist faction in government today, is an essential starting point. And ultimately, though Democrats would assuredly be involved, the GOP is at present the party most amenable to the proposals conservative realism would demand. Change ought to start from within. Unfortunately, no major voices in the Republican Party today voice the aforementioned philosophy. Perhaps with time, as stress builds up on the system and around the world, new voices will emerge, and the true conservative realism will again shape our nation’s destiny. Face Off: Luke Phillips and Thomas Armstrong Debate Sustainable Development. At any reasonably civilized and well-attended international affairs conference, one of the issues bound to make an appearance is the concept of “sustainable development.” A controversial and nebulous term, most supporters of sustainable development generally agree that human development ought to be reconciled with resource conservation, ultimately to the point that no resources are used in excess or wasted. Harmony between society and nature is to be treasured, and it is expected that a society run on sustainable development will find that harmony. Beyond this, the definitions are as varied as the proponents of the movement. Some campaign for sustainable development in developing countries such as India and Brazil hoping that, in turn, these countries can bypass the polluting industrial periods the West went through. Others support the placement of sustainable development measures in advanced industrial economies to balance out their resource intakes and pollution outputs by national or international policy. Still others are in favor of a far more organic role, with sustainable development occurring locally at the level of businesses and communities and working its way up the ladder of necessity on an ad hoc basis. In short, the practices mentioned above are as varied as the imposition of taxes on emissions and carbon caps, land preservation efforts, and everything in between. Sustainable development borrows much from the principles of environmental protection established earlier in the 20th Century and seeks to apply them directly to economic growth. Regardless of the nobility and desirability of such a silver bullet to save the Earth, the truth of development is nowhere near as simple as depicted by sustainable developers. Consider the notion that sustainable development is in fact a paradox, or rather an oxymoron. Sustainability implies a sense of permanency and renewability, and brings to mind small villages rotating crops around various fields bringing in a steady crop and thus a steady income supply. This same idyllic picture can be applied to almost any other commodity, from fish to timber to fruits to cattle. This example cannot, however, be applied to the nonrenewable resources of the interior of the Earth, including fossil fuels and precious minerals. Not surprisingly, the nonrenewable resource policies sustainable development supporters advocate border on complete abstinence. In marked contrast to this is development. Development implies a sense of forward-moving change, of increasing utility and complexity, of expansion. A brief survey of history seems to reveal a general and sensible pattern; those nations and peoples who were the most powerful, prosperous, and healthy were those who expanded and developed, either in terms of territory, societal and political complexity, or status. And in every case, this growth was fueled by the efficient consumption of natural resources. The prosperous periods of Chinese, Islamic, and European Civilization all mark their periods of intense and unsustainable resource use; yet these also marked those societies’ eras of political consolidation, golden governance, high culture, prosperous markets, and general national greatness. Undoubtedly innumerable issues are at play in the development of a golden age, but underlying all must inevitably be a stable resource base and the productive use of it. This may seem to be a materialistic analysis devoid of reference to the human spirit. I believe that it does seem to be true that the quality of life of any nation is, to a large degree, controlled by its observance of the abstract ideas of freedom, tradition, and innovation. However, there is a quantitative material foundation which must be set before any of these great social virtues can be observed, and so long as that quantity does not spill into decadence, its continued ascendance assures a better quality of life for citizens. Sustainable development advocates will argue that society need not continue progressing, that a balance and harmony can be wrought out, and humans can continue to advance on the efficient use of resources alone. While this may be true of communities at the smallest level, I highly doubt that it can be applied at anything higher than the individual or, at most, the nuclear family unit. History seems to tell us that the nature of man is to expand – to improve – and from this expansion, all the dramas and stories of human life flow. Indeed, when considering the implications of zero growth, an eerie economic picture comes to mind. So far as can be told, it appears that every human polity with a successful history has been based on growth and expansion of some sort, and therefore of continued and unabated resource consumption. But sustainable development, in its perfect model, demands the complete efficiency of resource use, a social harmony with nature recycling all. Thus there is no growth in wealth, as nothing more than is needed for survival is used; and no growth in wealth, in economic terms, is stagnation. In a period of stagnation, societies do not advance, do not grow, and do not improve the lives of their members. They merely exist from day to day. If we direct our policies towards sustainable development, we essentially steer our plans with a golden ideal of zero growth as our guide. All this being said, I am very much an environmentalist. Once upon a time as a kid, I drew up a proposal for the federal government to buy up all remaining undeveloped private land, fence it off, and call it “America National Park.” Boy Scouts does that to you. In all practical matters, however, I support environmental protection and conservation 100%. I like the system of management practiced by agencies such as the Forest Service, the Fish and Wildlife Service, and the Bureau of Land Management, and think we ought to continue and expand it into light international law, particularly for fishery preservation. I favor many of the environmental movement’s earliest endeavors, from the Clean Air Act to legislation against riverine pollution to the Endangered Species Act to the establishment of the Environmental Protection Agency. I am not sure that I believe as passionately in our ability to stop global climate change as many of my colleagues, but I look forward to the day when every vehicle runs on electric power generated at clean nuclear plants. Ecology enchants me, tree-planting and trail-building service projects excite me, and there is nowhere I love to be more than a national park. But all this being said, prudence and moderation is necessary, for we cannot simply pick environmental protection over economic development, as this goes against the human work ethic, and indeed all of history. And we cannot knowingly take a contradiction in terms that cannot be made to work, and then attempt to make it work. Sustainable development is this type of term – a chimera – and the fact that its successes are scant seems to attest to its impotence. It would be preferable for humans to seek balance with the environment in another way: to accept that growth brings with it a heavy price to nature, and to offset that price not by ceasing growth, but by actively improving nature where possible – through greening projects, resource conservation, environmental protection, and preservation where possible amidst economic growth. These represent the only types of sustainable development compatible with the basic, fundamental human condition. I recently had the pleasure of reading the transcript of General McRaven’s address to the cadets at the United States Military Academy at West Point. A copy can be found here. Early in his speech, while reciting a Plutarchian litany of the great generals of our age, McRaven said of General Martin Dempsey, “…he presides over the greatest change in our military since World War Two and he does so… with a song in his heart.” I immediately found myself confused. Hadn’t the biggest change since World War Two been the transition from a draft army to a post-Vietnam all-volunteer force? Or the technological revolution that took place during the Global War on Terror? What was happening in the second decade of the Twenty First Century that could dwarf these other critical shifts? I called my personal military expert, my Dad (who is a Captain in the United States Navy) and he explained to me the shifts presently underway. I will summarize as succinctly as possible. Before the First and Second World Wars, the US military was essentially a homeland defense force with slight capability to conduct foreign expeditions (as the Spanish-American War and following decades of imperialism illustrate.) But the great pressures of the World Wars, and accompanying geopolitical shifts, forced the United States to project immensely more power in Eurasia, and the infrastructure of the military was forced to change and expand to accompany this new mission. Indeed, the early Cold War saw an institutionalization of the various commands and programs which had been borne out of World War Two. The United States military was now a global, balancing, interventionist force, and its organization supported it in its mission. It should come as no surprise that the federal government expanded dramatically in this time as well, the so-called golden age of the Progressive Era. A large part of this growth was due to domestic politics, internal pressures, and chains of thought endemic to the United States stateside. But part of it, too, came as a corollary to the expansion and growing complexity of the military. More troops require more services; more bases require more oversight, and so on. More importantly, some of the basic social trends and methods of bureaucratic organization, at the widest level, seem to have had their historic roots in military organization before they entered the political mainstream of debate. For example, the desegregation of the US Military preceded meaningful desegregation of American society by a decade. Similarly, the formal recognition of “Don’t Ask, Don’t Tell,” a policy which discouraged active discrimination against homosexuals in the military, preceded by several years the massive national debates on gay marriage and other sexuality issues. On the bureaucratic side, the transition to an all-volunteer force in the 1970s and 1980s came alongside the conservative movement and its massive pushback against stagnating government services, and the reinvigoration of both institutions seems to spring from a similar root. Likewise, the American military expanded more during the Civil War than it ever had before, and after the war, the first components of the modern American welfare state were established. It seems that as a state’s war fighting ability is required to increase, so grows its military and government. What we are seeing today, then, is simply shocking and almost completely unexpected. Encumbered by sequestration, and overextended after two long counterinsurgencies that drained the energies of the American people, the US military is entering a period of dramatic downsizing and reform. The world has changed, as has the domestic situation. Going forward, the United States must continue to play its pre-eminent role in protecting the global system, but as new powers arise, it must increasingly work with and against them, managing a tenuous balance of power through conventional and unconventional means while pursuing agents of disorder in this increasingly fragmented world. In the meantime, the old blue model of the welfare state is decaying and needs a rethinking and rejuvenation. Amidst all this, the military’s new mission lies in agility and flexibility. It must have the capacity to project force as powerfully as it has in the past seven decades. But now, it must project this force as an agile ninja, rather than a cumbersome knight. It cannot afford to have merely the most firepower in the room; the US must be able to direct that firepower in the smartest manner. So with its own budgetary downsizing, the military is making the best of its resources to accomplish its mission. Rather than shutting down any of its regional commands, it is reducing their staffs. Instead of downsizing its plethora of bases, it is combining redundant ones and expanding the capabilities of each. It is protesting vigorously against technology deals that it does not need, and that only serve the interests of the constituents of certain politicians (as the case of the F-22 so vociferously demonstrates.) The military is taking seriously the notion that it has to get leaner. A couple weeks ago I had the dubious pleasure of sitting in on a talk, on the horrors of sequestration, by an outgoing Republican congressman. When he finished, I raised my hand and remarked: “I have heard that of all the departments, agencies, and programs in the federal government, none will be able to conduct its mission after sequestration as well as the United States military. None will adapt to new fiscal constraints better.” “I’ve never heard that,” came his gruff reply. He seemed to be more a security hawk and nationalist than a prudent thinker on military and foreign affairs. But as other government agencies react poorly to diminished budgets, as the wages of fiscal irresponsibility plague our government, as the affairs of the world march on without caring, it is increasingly apparent that the most certain victories our government is winning at present are those emerging from the Defense Department and the military chain of command. Perhaps the model the military now exhibits will become the general model the government will emulate, as was the case in 1865 and 1945, only now it sees a contraction rather than an expansion. Perhaps in light of fiscal constraints, bureaucratic malaise, and general governmental stagnation, the US government will look to the military model of efficiency and consolidate redundant programs, decentralize regional command, and encourage efficiency and innovation so far as is possible. Perhaps a new era of smart government is upon us, as the era of smart military certainly is. 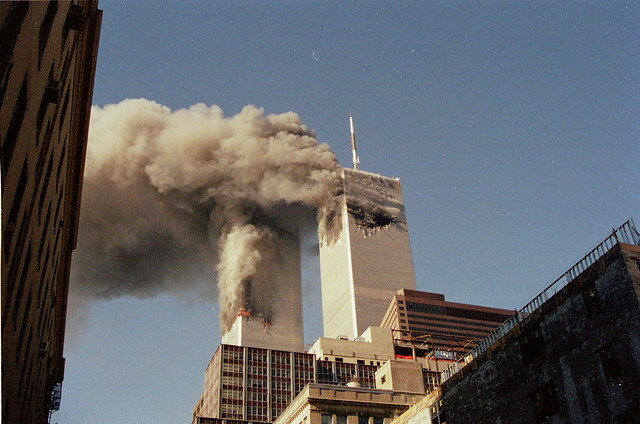 As the horrific events of September 11, 2001 fade ever-further into the recesses of public memory, it would be prudent to analyze where we find ourselves today in the intractable conflict – known as the “Global War on Terror”– borne out of 9/11. Two analyses, from Stratfor and the Foreign Policy Research Institute, respectively, have done this admirably well, and provided the backdrop for this article’s analysis. During the Bush years, the United States effectively neutralized the trans-national threat posed by al-Qaeda, and the Obama Administration delivered the symbolic final blow with the Abbottabad raid, leading to Osama bin Laden’s death. By the end of the Bush Presidency, it was clear that the al-Qaeda core was decimated and unable to coordinate even its own communications, not to speak of spectacular, large-scale attacks that could pose threats to the lives of civilians in Western countries. By this measure – the destruction of al-Qaeda’s C4 (command, control, communications, computers) – the United States won the War on Terror. President Bush, having learned the fate of premature declarations of victory after the famous speech aboard the USS Abraham Lincoln in 2003, wisely chose not to declare victory over al-Qaeda in his Farewell Address. But by all realistic and meaningful measures concerning domestic security and the fate of the al-Qaeda core, the American intelligence and military machine had achieved strategic dominance over its foe. President Obama’s expansion of the drone war was often seen as an overextension of the War on Terror past its critical objectives, which is an inaccurate critique when considering the broader picture in that it served the purpose of pursuing al-Qaeda’s remnants further rather than dealing knockout blows. But for strategic purposes, the war had already been won. But in another sense, it is evident that the United States lost the War on Terror. Many in the young, untested Obama Administration assumed that President Obama’s chief purpose in continuing America’s newly-renamed “Overseas Contingency Initiative” was to mop up the remaining hives of terrorist activity, particularly in Afghanistan and Pakistan but also in new areas, such as Yemen and Somalia. It turned out, however, that al-Qaeda as a movement was far more resilient than al-Qaeda as an organization. As the central command nucleus dwindled away, more local, practical offshoots were rising up in various regions of the world. When the media uses the name “al-Qaeda” today, they really mean one of al-Qaeda’s splinter or affiliate groups, chief among them the Afghan and Pakistani Taliban, al-Qaeda in the Arabian Peninsula, al-Qaeda in the Islamic Maghreb, the Islamic State of Iraq and the Levant, and their Sub-Saharan counterparts al-Shabaab and Boko Haram. These are not all necessarily former al-Qaeda commands that split off; some are jihadist groups which have worked with al-Qaeda in the past and now carry on the war. The function and purpose of these groups is all very clear: to bring about the establishment of Emirates in their local regions, be that through de facto rule during chaotic times (as the Islamic State of Iraq and the Levant has done very well) or through the overthrow of local governments (as most splinter groups have been attempting). This is exactly in line with al-Qaeda’s mission statement as expressed so many years ago in Osama bin Laden’s Letter to America: “The removal of these [American-backed, non-sharia] governments is an obligation upon us, and a necessary step to free the Umma, to make the Sharia the supreme law…” and it reveals a new phase of America’s War on Terror. Today, rather than facing a single, silent, unified foe whose cells and operations stretched across nations, whose capacity was to bring world-shattering destruction upon the West, the United States now faces a broad, loose ideological movement composed of dozens of independent groups, each with the purpose of local disruption and ascension in mind. The only apparent counterattack is a broad mix of the failed counterinsurgency doctrines of the last decade, and a total deprivation of liberty in afflicted areas to neutralize all possible threats. None of these groups can threaten the American homeland in the way the old al-Qaeda did, yet all of them can threaten American interests in ways the old al-Qaeda never could. Moreover, it is not our fight; it is the struggle of the peoples among whom the new jihadists fight to determine the destiny of each corner of the Muslim world. No matter how much America has done in the past, there is only so much she can do today and into the future. At some point, local communities must figure out what they want on their own accord. The present US-jihadist war will not end until the historical forces presently bringing about the decay of the Greater Middle East have run their course or have been contained. It should be the purpose of US policy to adapt to this new reality, without, as was the Bush folly, elevating it to primacy as America’s primary foreign policy arena. The age-old American imperatives of maintaining a liberal world order and managing regional balances of power are as important today as they ever were, and those benchmarks are unlikely to change anytime soon. The War on Terror should be viewed as an integral part of US policy towards the Greater Indian Ocean region, completely coherent within US diplomacy, and development politics. To that end, US policies and planning should be redesigned with a more unified vision in mind. America and Iran to Bury the Hatchet? President of the United States, Barack Obama, talks with the President of Iran, Hassan Rouhani, during a telephone call in the Oval Office on 27 September 2013. Last week, Iranian President Hassan Rouhani announced that Iran has no interest in building nuclear weapons, either for national prestige or for security reasons. He went on to remark that he is willing to sit down with President Obama and discuss a rapprochement between the United States and Iran. President Obama cautiously agreed, and the agreement has led to both criticism and applause within their respective governments. Few details have emerged, but the foreign policy community has already started chiming in on this surprising development. In a year where the Russians have agreed to mediate negotiations for a Syrian truce and disarmament, perhaps nothing should come as surprising. Yet on the Iranian question, no greater shock could have come, save perhaps a preemptive strike by the Americans and/or Israelis. The United States and Iran have been diplomatically disengaged from each other since the 1979 Iranian Revolution, and for the last 10 years relations have only worsened as the two states have played a sort of game of thrones over the ashes of Iraq and influence in the Gulf region. The Iranian nuclear program, funded for decades before the fall of the Shah by the very Western governments which now so viciously condemn it has for the last decade been the most visible point of contention between Iran and the United States. Additionally, Iran’s aspirations for regional leadership and dominance ensured that there has been no shortage of American efforts to contain the Shia nation and prevent it from upsetting the regional balance of power. The seeming radicalism of Mahmoud Ahmedinejad, most callously expressed in his denial of the Holocaust, did not help the diplomatic situation in any way. When Rouhani succeeded Ahmedinejad, there was buzz among the Western media suggesting that this man might be “our man;” he seemed progressive and democratic enough and his words sounded good. Add on to that the events of the Green Revolution in 2010 and the subsequent Arab Spring and there seemed to be an inkling that liberal populism might provide Rouhani the legitimacy necessary to fundamentally change Iranian policies – both foreign and domestic. But after a brief media honeymoon, his fame died a slow and quiet death, as Iranian policy did not appear to differ significantly from that of Ahmedinejad. Fast forward to today, when we see Rouhani apparently making baby steps in a progressive direction. He has renounced over a decade of Iranian security policy, while making overtures to integrate Iran with the international community. As many commentators have noted, this should not be seen as a sudden change of heart; the Iranian President is undoubtedly still confined by certain limits and boundaries. Nevertheless, this change in tone marks a critical shift, one which will certainly have profound effects on the region. Already the Saudis and Israelis have voiced their disapproval of impending US negotiations with Iran. I recall becoming disillusioned after years of catching the oft-used “Israeli strike on Iran closer than ever before!” headline and resigning myself to the conclusion that the United States and Iran would remain enduring enemies, periodically exchanging harsh words but never anything more. It appears that this state of affairs may soon change. This saga illustrates an interesting principle of politics best articulated by former Secretary of State George Kennan: “No other people… is entirely our enemy. No people at all… is entirely our friend.” Shifting power paradigms tend to manifest themselves in surprising ways; to the futurist or to the contemporary observer, this development may appear seemingly irrational, yet to the historian looking back it seems perfectly sensible. And thus great shifts in the balance of power are common occurrences in world politics, with many of them marking new political eras. In 1992 the Europeans signed the Maastricht Treaty and established the European Union. Between 1989 and 1991 the Soviet Union crumbled and the world map was redrawn. In 1973 the People’s Republic of China turned on their former Communist friends in the Soviet Union and instead began working with the United States. Throughout the 1950s and 1960s, the former colonies of the old European empires claimed their independence. And in each case, observers were shocked; only two or three years earlier there would have been no indication that radical change was on the horizon. This is how the present cooling of relations between the United States and Iran should be viewed: a political anomaly that does not make sense now but one day will be heralded as a major breakthrough in international relations. There are always those Realists who, vigorously pursuing the intricacies of power politics, laugh down the very notion that international law holds any bearing over the foreign policies of states. The world, they assert, is inherently anarchic and international law tends to be a tool of subversion by dominant powers in those few cases when it has been effective. They point to the dramatic spectacles of the Versailles Treaty, and more laughably the Kellogg-Briand Pact, and note the increased occurrence of interstate wars in the 1990s when the international system was supposed to be at its height. At the moment many of them are busy writing editorials condemning the international-law-upholding rationale of a possible U.S. intervention in Syria. While it is probably prudent statecraft to stare unblinkingly into the cold realities of the world, these Realists nonetheless are unfortunate in that they possess an unrealistic understanding of how international law works and functions. In fact, it has been around in varying forms since Thucydides, and disputes about it have usually taken up the majority of the resources of every country’s diplomatic services. Just as war and the balance of power are not final ends or goals in and of themselves, international law is more an aspect of the international system than its solution. Critically, it is nonetheless very real and those who disregard international law do a great disservice to themselves and their countries. Like domestic law, international law is most effective in those affairs in which it is not noticed. The multinational leagues banning war are merely the sensationalist tips of the iceberg. An imperceptible web of treaties, norms, and gentleman’s agreements forms the bulk of international law, and the historical record seems to show that more often than not, states have followed it when it serves their interests. It rarely comes to mind that immigration policies and trade arrangements between countries, while perhaps unduly influenced by disparities in power, are nonetheless conducted rather civilly. Exchange rates, tariff policy, immigration quotas and limits, border security, regulation of exports, and other similar affairs must be hashed out in agreements and molded to fit the realities of each bilateral relationship. In our modern world, many states must have diplomatic establishments able to regulate these low-level policies and many more with almost two hundred other countries around the world. And it is rare to see a newspaper flash reporting “Singapore and Liechtenstein embroiled in bitter tariff dispute!” though such conflagrations undoubtedly occur, largely unbeknownst to the global public. It is true that states seem to let self-interest guide their conduct in these matters, especially given the immense domestic significance of foreign trade and immigration policies. But states wage these battles in fields of gavels and not of swords. At a more systemic level, it must be noted that the existence of an international system, however anarchic, implies some advanced degree of international law. The celebrated Westphalian way of doing things enshrines sovereignty as prime, and is, in its essence, a method by which states can conduct their disputes without annihilating each other- a system of international law. It has developed standards by which foreign policy ought to be conducted, and while the “sausage making” is occasionally messy it is not nearly as messy as historical forays have been. The civilizations of the Middle East, East Asia, Central Asia, the Americas, and the Indian Subcontinent each appear to have developed their own international systems and methods of international law –before the Modern era – to regulate the relationships between their polities. I contend that the same qualities of these civilizations dramatically aided in the setting of norms and following of customs which led to relative stability. Nowhere is there less international law, and more chaos and destruction, than in the relationships between nations of widely separate civilizations. Where was international law in the Spanish and American conquests of the New World,? When a primitive people and their industrial conquerors face off, the Thucydidean dictum is validated, and the strong take what they can, while the weak accept what they must. In sum, international law does not seem to stand on its own, but rather become imposed by cultural similarity and the eternal reality of the balance of power. As such, it is an organic phenomenon endemic to international politics and therefore must be included in any realistic analysis of why states do what they do. If we were entirely inclined to destroy each other at every given opportunity, we would have done so by now, and no laws could govern us. But international law, however mild, has affected us and guided the hands of our policy. Realists forget this fact at their own peril.